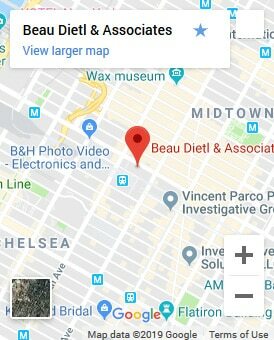 Beau Dietl & Associates (BDA) was founded in 1985 by Richard “Bo” Dietl, one of the most highly decorated Detectives in NYPD history. 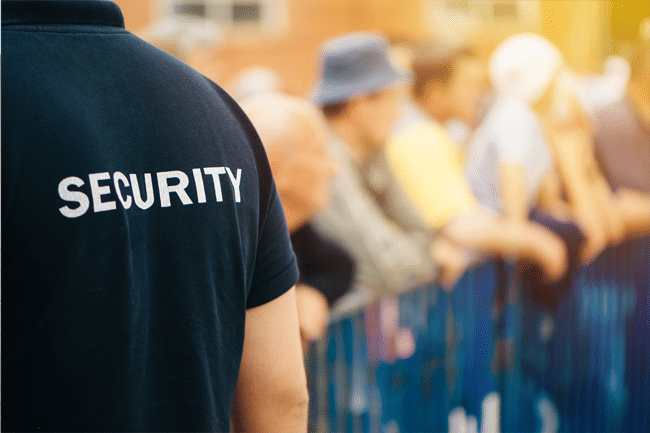 For more than 30 years our company has provided security services, consulting services and investigative expertise to private and public clients throughout the United States. Our headquarters are located in Midtown Manhattan. Our senior staff is comprised of experienced former senior law enforcement and military officers, security and investigations professionals whose experience is second to none. Utilizing an “all-hazards” approach, we are highly skilled at understanding each client’s unique security needs and providing customized solutions, including hand-selected personnel and state-of-the-art countermeasures, to effectively and efficiently mitigate risk providing safe, secure and welcoming environments. Additionally, our team of highly-trained analysts can perform in-depth due diligence for any situation and are currently supporting Fortune 100 companies, major financial institutions and top law firms around the globe. Our private investigators untangle webs of complex inter-relationships and crack the technology that obfuscates the truth. Professional. Discreet. Comprehensive. Customer-focused security supported by a proactive and responsive team. Are you thinking about hiring a private investigator? You might be overwhelmed on where to turn too, but you must be careful especially when it comes to choosing the right investigator for your case. A private investigator in NYC should be selected carefully, never rushed, allowing you to ask as many questions and concerns that you may have for them, then chosen by experience, comfortability and based on quality reviews. The first, and most important factor is that you are speaking with an experienced New York City private investigator. 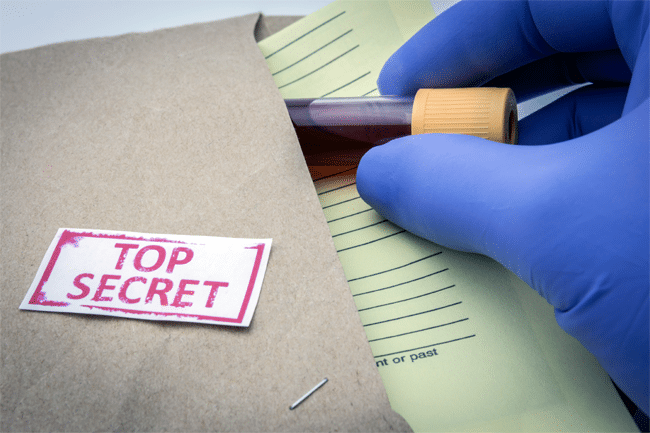 You must also consider your particular requirements with the help of an expert to ensure that he or she specializes in the area of private investigation services that you need. New York City is very large and populated city of about 8.538 million people (2016) built by 5 boroughs including Manhattan as the core borough according to United States Census Bureau. This makes it extremely competitive but also not hard to find any type of private eye you may need for your local investigation. Maybe you have a cheating spouse or lover that you would like more details on the truth of what is actually going on. Or maybe you have a loved one that is acting suspicious, or a loved one that has gone missing and you need an experienced team of private investigators to help you in a missing person search. The right steps and protocols must be taken in order to have any type of successful investigation work. Things get a little complicated when it comes to hiring an investigator for something that may take weeks or months to accomplish to assure the investigation is done correct with great detail and a lot of information and evidence collected. Obviously, each investigation is always different and will always first start with a consult. But you also shouldn’t forget about the costs. A qualified and veteran private investigation firm in NYC will charge premium pricing to get the job and tasks done right. Different private investigation cases get billed differently so that is why it is very important to explain in great detail everything that is going on and what it is you exactly want to accomplish from the private investigator. If you have questions about anything regarding how it works, time frames and what important information is required from your end just make sure you right down all your questions on a legal pad before consulting with a private investigator. Make sure to include questions about their experience with the specific service you are in need of along with some successful investigations they have been apart of. Now they may not be able to reveal too much since they sign contracts and keep many things very private for legal reasons but they will be able to give you scenarios and outcomes without naming names. As you can imagine, there’s a whole lot of variables to take into consideration when preparing to move forward with a private investigator. The cost, commitment and time of the case all play a huge part, but be prepared to do a lot of back and forth with the investigator and have patience. Understanding that a thorough investigation takes time is the first step. Also, understanding private investigators like Beau Dietl & Associates have a team of experts looking over everything and using new technology and tactics to acquire vital information for every case. To help give you a better understanding of how much a private investigator costs you need to be aware that there are many different types of investigations so it will all depend on your exact needs but a quality private detective or investigator will charge a minimum of $100 per hour with minimum retainers. You can see this with a quick google search. Again, this is just a rough number to go on and many other fees may be applied depending on the criteria of the investigation. A quality and seasoned private investigator in NY will not be cheap but just like many other services you get what you pay for. You can check out some costs associated to private investigators here. Of course, depending on your situation you will have to provide the private investigator a lot of details that might include, phone numbers, names, documents, descriptions, pictures, license plates and etc…. This is going to be very vital and useful in your case, but you must listen to the investigator and provide him with any details he recommends. For this reason, it’s recommended to seek help from professionals. Start your search for a private investigator specialists in your Local New york area. Working with professionals allows you to feel more confident knowing that you’ll be guided throughout the process from beginning to end, making you feel confident and comfortable. There are plenty of investigators to choose from in New York City, so it’s important to really go and narrow it down to the top two rated from your list . You can’t pick a company with your eyes closed. At Beau Dietl & Associates we encourage you to do your due diligence on every company including us. Do a lot of research to learn about the kind of reputation the company has in the industry. It’s also worth looking over reviews and testimonials online about the business to see what their past clients have to share about their experience. Even asking family and friends if they ever heard of the company before. They should be able to provide an honest feedback about a particular company, making it easier for you to come up with an informed decision. When you get a quote, you might be surprised that different investigators charge differently and require different minimums. Some charge high, while others charge way too low. It can be confusing to determine who is the best private investigator for you. It helps to get clear overviews of what they will actually provide if you go with them. Make sure you ask about the time frame of your project at least three times so you understand the process. You can then determine who is the best service for you and your specific situation. Once you hire the private investigator and they do their full investigation and due diligence on your case the findings may be upsetting and even devastating. Whether it is finding out your spouse is cheating or a partner was stealing it is never something you can fully mentally prepare for. Just know that in time you will be able to understand things from a more clear view and also know with confidence you were right for uncovering the truth. Feel free to reach out to us with any questions you may have and we will be sure to answer them promptly. We are here to listen! LETS TALK ABOUT HOW WE CAN HELP YOU?